Daffodils are one of the easiest spring bulbs to grow. 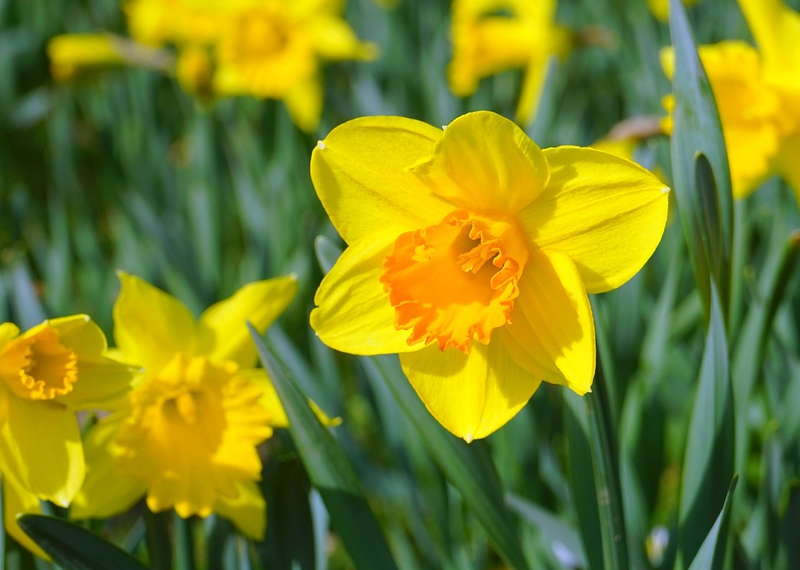 Although we most often think of bright yellow daffodils, there in are lots of varieties available in shades and combinations of yellow, white and orange. 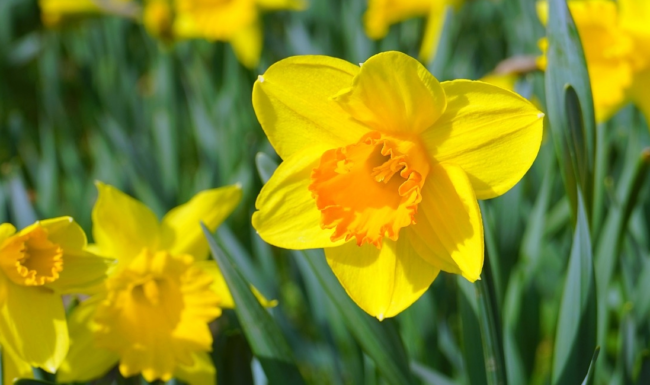 Daffodils grow from bulbs and are a must have for a romantic or cottage garden. Daffodil bulbs should be planted in autumn in areas that will receive full sun or partial shade. Make sure the soil will drain adequately, as the bulbs should not sit for long in too-moist soil. Using a fork, loosen the soil to a depth of about 20cm and mix in some compost. Daffodil bulbs are tear-drop shaped, and some bulbs may have visible roots on the round end and a fresh sprout on the pointy end. Gently place the bulbs in the hole pointy end up. Plant the bulbs with about 5cm of soil above the neck and space them roughly 10cm apart. Water your bulbs deeply every four days, depending on the weather. This is essential and the difference between success and failure. There’s no need to fertilise them while they’re growing; rather fertilise them after flowering with a 3:1:5 fertiliser so they can store nutrients for the following season. All daffodils do well in pots, but it’s the dwarf varieties look amazing in containers. When growing them in a container, plant them in two layers to get a fuller look. In a deep container, plant the first layer, cover with soil and then add another layer.